Looking to a free guide to learn about coupons? Want to learn more ways to save more of your hard earned money each week? You have come to the right place! Whether you are new to the world of coupons for you have been at it for several years there is always ways to improve and learn more about this, and other, money saving techniques. Over the years we have learned numerous tips and tricks to couponing and put together this article to share them with you. Our goal is to provide the information you need to get started with couponing in an easy, productive and efficient manner. So, let’s get started! Let us start off by saying that learning to coupon takes time and effort – especially when you are just starting out. There is no way around this. We wish there was a magical way to teach you everything you need to know quickly but that is not reality. As with most things in life there is also a lot of change involved so just when you think you have a handle on everything you may quickly realize you need to modify your approach. This is why we want you to consider your level of commitment and, quite frankly, your NEED to save money. 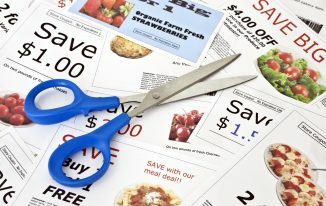 For some families clipping coupons provides them with an income equal to a part-time job. For others this extra coupon-based income becomes part of their actual budget and their investment level is very high. Others dabble here and there with coupons but do not necessarily make it a part of their budget. Know where you stand before you start. 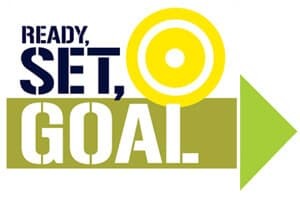 What Are You Looking To Achieve (Goal Setting)? How much are you looking to save by using coupons? $50 per month? $100 per month. More? We know families that save $500+ each month just by using coupons and taking advantage of other money saving techniques we will discuss later in this article. For those of you just starting out we would caution you NOT to set your initial goals that high. Instead we recommend setting small savings goals which will give you room for growth, promote positive momentum and limit disappointment should you not reach your initial goals. In the beginning your main goal should be learning the coupon process and taking things a step at a time – not trying to swallow the steak whole. Before you begin to blindly clip hundreds of coupons you really need to take the time to identify what you really need most. That means grabbing a notebook and making a list of the products that you and your family purchase most. Why? Because these are the products for which finding coupons will have the most significant financial effect on your budget. When we first started couponing we had two children under the age of 4 so for us this included items such as diapers, formula, wipes, yogurt, cereal, milk and bread. We were purchasing these items on a weekly (if not daily) basis so finding coupons for them first only made sense. Starting out can be overwhelming for some so it is always a good idea to develop a way to focus your efforts. Once you have determined WHAT products you are looking to save money on then you can move to HOW to do it. There is definitely a learning curve to using coupons especially if you are going to utilize many of the tips and tricks outlined later in this article. Coupons are by no means a get rich quick scheme or a way to get all your groceries for free. Patience is one of the many keys to becoming an effective and efficient couponer. Give yourself the necessary time to learn the ‘process’. It will not happen overnight and trying to do things too quickly will only lead to unnecessary mistakes and headaches. Give yourself a set amount of time each week to research and learn. Try as best you can to not to make it a stressful process. When you are just starting out couponing one thing we highly recommend you do is read through your primary grocery store’s coupon policy. Each store has their own rules and regulations as it relates to the use and acceptance of coupons. Some stores are much more user friendly than others and it is always preferable to know these before you start couponing in order to avoid complications during checkout. By access we mean you need to have a way to print, clip or digitally store coupons for future use. Ideally you will need a computer, printer and smartphone. Over the past year we have seen a clear trend for more coupons to be available digitally and less use of traditional ‘paper’ coupons. Today it is certainly feasible to use coupons without ever printing a paper coupon. More about this topic can be found in our recent article about the Millennial Generation and their impact on coupon use and distribution. By far the largest amount of coupons are found online and this number is growing each year. These take three major forms – printable coupons, online coupon codes and digital coupons. There are also numerous retailers that have developed their own proprietary coupon programs that can only be redeemed at their specific stores. Target’s Cartwheel Program is a good example of this. Coupons loaded into this program are only redeemable at Target Stores and not other competitors. Click HERE for a complete list of our favorite free online websites that provide printable and mobile coupons. One of the largest areas of growth within the world of coupons over the past 3 years has been the advent of mobile money saving smartphone apps. These help cater to the Millennial generation and have made the act of couponing an instant event with little to no pre-planning. You can now simply just search for coupons while you are in the act of shopping and get savings nearly instantly. 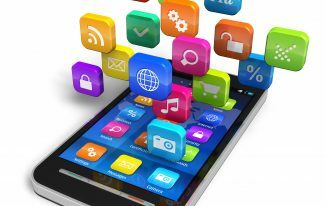 Click HERE to see our list of the (20) Best Money Saving Mobile Apps. If you are from the old-school then you may still be getting your coupons in the Sunday Newspaper but you have more than likely noticed that the number of coupons available to you has significantly dwindled over the past few years. The newspaper and magazine industry in general has experienced a severe decrease in circulation as more and more people turn to online sources to get their news. Unfortunately, we predict that it won’t be long before your beloved Sunday newspaper doesn’t contain a coupon insert at all. Mobile/digital coupons are just so much more cost effective for manufacturers and much more convenient for customers. One of the easiest places to find coupons is by looking in the stores you frequently shop at. 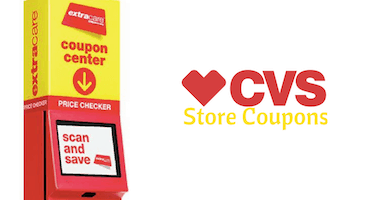 Stores such as Price Chopper and CVS have coupon kiosks that provide customers coupons after they simply scan their rewards card. Other stores have coupons available at their customer service desk and also throughout their stores in devices commonly called ‘blinkies’. Bottom line: keep your eyes open while you are shopping. You may be surprised how many coupons are floating around your local grocery store. One of our favorite places to look for coupons and current deals is through Facebook Coupon Groups. Simply go to Facebook ->Groups and then search for all coupon related groups. Most of them are closed groups which means you must ‘join’ them but we have found that most of them are very willing to add new members. 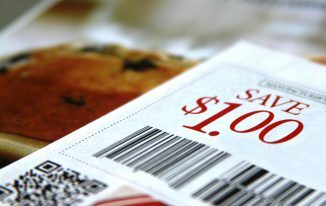 There are groups that focus on coupons in general and others that focus on coupon use at specific stores. These groups are great places to ask questions and meet other people who share an interest in coupons and saving money. Probably the most basic way you can keep your coupons organized especially when just starting out is to make a shopping list and write down which products you currently have coupons for (that you intend on using). This will help you to stay focused during your shopping trip and will help reduce impulse purchases. Another way to organize your coupons is to keep them in envelopes or a designated area in your purse. This technique works well if you are only redeeming a small number of coupons each week. If you are redeeming 40+ coupons in a single trip to the grocery store then you will learn very quickly that this technique may not fit your needs effectively. The most common technique for serious couponers is a coupon binder. This allows you the ability to carry all your coupons at once and still have a way to organize them for quick retrieval. This technique is discussed in more detail in another one of our free articles Guide Setting Up a Coupon Binder. One of the best advantages to using mobile coupon apps is the ability to organize your coupons right on your phone. No more paper, printing or coupon binder needed. Just digitally ‘clip’ the coupons you want to redeem and then scan only a single barcode to redeem them all at once. 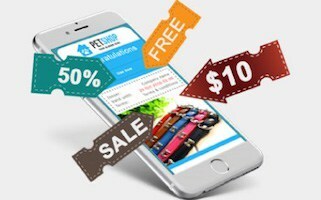 If you haven’t moved into the mobile coupon arena yet then you are certainly missing out as it is just so much easier than traditional paper coupons. Can coupons be redeemed at any store? Well it largely depends on whether it is a manufacturers coupon or a store coupon. To determine this look at the top of the coupon (see photo) and it should be clearly written ‘manufacturers’ or ‘store’. Manufacturers coupons are redeemable at any retailer that accepts coupons and store coupons are only redeemable at the store specified on the coupon. Often times we see coupons that are manufacturer coupons but they have ‘redeemable at Walmart’ printed on them. In theory you should be able to redeem these at any store (not just Walmart) but we have also found stores that will not accept them due to this printed language. If you are not sure we suggest looking at your primary store’s coupon policy for clarification on this topic or checking with their customer service desk. 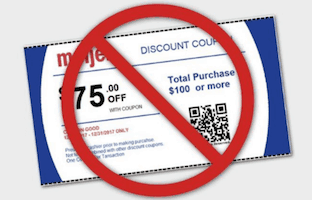 In order to place controls on the number of coupons one person can print all the major printable coupon websites (such as Coupons.com, Redplum.com and Smartsource.com) have set limits on the number of prints per computer. This is generally set at (2) per user. These print limits reset on the first of each month. The total overall number of prints per coupon is set by the manufacturer and once this number has been reached the coupon will disappear from the available coupons screen. There is no way to know this limit as it is not advertised on the site and on some occasions coupons will disappear in a matter of hours due to popularity (or a very low print limit). There are still a limited number of grocery stores that will double coupons with a value of .99 and under. This means a .50 off coupon will automatically take $1 off an item. This is a great way to maximize your potential coupon savings but it does come with a warning. We have found that stores that offer this perk to customers generally have higher overall prices in return so they really are not much of a ‘deal’. Do your homework on price points when you are making a decision on which area grocery store to shop at. Just because a store doubles coupons doesn’t always mean it will provide you the best overall savings. The term ‘stacking’ can refer to a couple of coupon related scenarios. First, you can ‘stack’ two coupons together for one product if one coupon is a ‘store’ coupon and the second is a ‘manufacturer’ coupon. This allows you to get double savings in a single transaction. We also see the term ‘stacking’ when someone finds a good sale and then ‘stacks’ a coupon onto the sale. Stacking coupons is a great way to maximize your savings and get products for very cheap (even sometimes free). Sometimes you may find that a coupon stack and sale combo actually results in an overage in your favor. In other words the combined value of the coupons actually exceeds the purchase price of the item. Retailers will generally manage this overage in one of two ways. Either they apply the overage to another item you are purchasing or they will not allow the overage to occur and just give you the item for free. If you are planning to take advantage of a sale/coupon stack that will result in an overage you will want to look at the specific store’s coupon policy to see how it will be handled. You will find lots of websites that offer weekly coupon matchups for their readers. These are effectively a list of sales items (which vary from store to store and week to week) that also have a corresponding coupon available. This way when you are planning your weekly trip to the grocery store you know exactly which items to stock up on. The term stockpile refers loading up on an item when you find a good coupon/sale combo. This allows you to build a ‘stockpile’ that you can draw from in the future rather than paying full price. 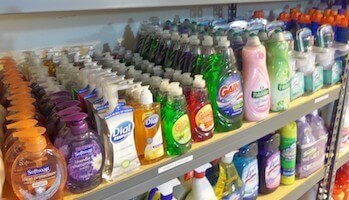 This concept works well with non-perishable items such as laundry detergent, cleaners and toiletries. Find a deal on toothpaste for only .25 each? Well, buy (10) of them and never need toothpaste again for the rest of the year. For some couponers a stockpile is a must-have in order to maximize savings and can even take up enough space to fill a spare bedroom or garage. Extreme couponers generally coupon for the sport of it and are more interested in how much they save versus if they actually need the product(s). While we understand how this may make somewhat entertaining television extreme couponing really does very little for a family trying to save money with coupons. We never advocate purchasing items that you do not need just to show off how much you ‘saved’. This is wasteful and in many cases extreme couponers will completely clear the shelves of products that they do not need which means other customers who have a legitimate need will be forced to go without. Given that online purchases now account for over 12% off all retail sales it is no surprise that more and more retailers are offering coupon codes to give loyal customers a discount. These usually take the form of words or numbers that are entered by the customer during the online checkout process. Websites such as RetailMeNot.com are great places to search for coupon codes to help save you money before you click that final ‘submit’ button for an online sale. You be surprised just how much of a discount many places offer – sometimes as high as 50% off. Another trick – there are lots of websites that will offer you a discount code if you place an item in your cart and then attempt to leave the site before checking out. Another marketing tactic that numerous retailers are now offering is the price matching of their competitors. This is a fantastic way to save money and we use price matching on a regular basis – especially on big ticket items. 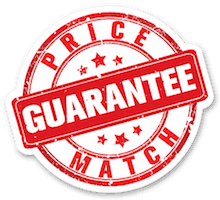 Most of the retailers that offer price matching will even match online pricing to include Amazon. To learn more on this topic and to see a list of (25) stores that offer price matching see our full Price Matching article HERE. There is a lot of coupon lingo that you should familiarize yourself with in order to be as effective as possible. Click HERE to see a complete list of coupon terms and their meanings. ‘Avoid’ might be a strong word but you should at least be aware of the pricing gimmicks your local grocery stores may be using. This includes the sales that require a set quantity that are not really sales at all. For example, we frequently see (5) for $5 sales that are for items that normally sell for less than $1 each so this is not a ‘sale’ at all. We also shop at a grocery store that loves to put up ‘sale’ signs on items that have grossly inflated ‘regular’ prices. This way when you check out your receipt says you saved all sorts of money that you really never ‘saved’ at all. They do the same thing with Buy 1, Get 1 FREE deals. They inflate the price of the ‘regularly’ priced item to offset the ‘free’ item. Just be aware of these types of gimmicks as they designed to make you feel like you are saving money when in reality you may not be. Checking out at the grocery store with a stack of coupons can be stressful for both you and the clerk assisting you. It takes time and usually causes the line of customers behind you to grow – not to mention the sighs it sometimes generates. Given this please remember to be courteous to staff and understand that there are some things that they cannot do based on their company’s policies and directives. We have found that keeping things light and friendly has gotten us much farther than being difficult and curt. Do yourself, and everyone else, a big favor and learn to organize your coupons to make the checkout process as pain-free (and Timely) as possible. For us this means taking a few minutes to pull the coupons we want to redeem out and sorting them while waiting in the checkout line. Don’t wait until you are trying to cash out to do this. Just because you have a coupon doesn’t mean that you HAVE to use it. We have found ourselves passing on a coupon due to a number of reasons including need and price. This is a difficult lesson to learn as we used to find ourselves purchasing items just because we had a coupon and in the end this lead to unnecessary spending. If you find yourself with leftover unwanted coupons you can consider donating them or paying them forward. Learn more about this topic by clicking HERE. Don’t set unreasonable goals when you are just starting out with coupons. Doing so will only lead to disappointment and will not help build positive momentum. Instead start small and build from there. Tracking your savings is a great thing to do especially when you are just starting out. This doesn’t have to be fancy – just a basic spreadsheet will do just fine. It will help you to ‘see’ just how much you are saving and will help you track your savings over time. As we mentioned earlier in this article – if it seems too good to be true then it probably is. Don’t fall victim to the numerous phishing scams that are camouflaged as high ticket coupons. Most of these originate through social media and are nothing but attempts to gain access to your personal information. The same warning applies to purchasing coupons from a third party. Buyer beware when using sites such as Ebay or Craigslist to purchase coupons. Do your homework and only buy from reputable sellers. Our last tip is to not be afraid to share your coupon journey with other friends and family. Let them benefit from your hard work as well. You may also consider joining a coupon group on Facebook which is a great place to share your knowledge and gain some like-minded friends in the process.